Nowadays, a USB port is one of the most common and convenient means of charging wireless devices. USB, short for Universal Serial Bus, is a standard type of connection found on a wide range of devices. Not only does USB allow users to connect many forms of hardware (keyboards, external hard drives) to a host device, but it also provides a charging mechanism for other forms of wireless devices. In fact, many tablet, Chromebook, and notebook devices are increasingly relying on USB connections for the purpose of charging. To support an increased demand for USB connections, USB hubs were created. These solutions are similar to everyday extension cords but instead of providing the typical three- or two-prong plugs, they provide a number of USB ports. This means that hubs are especially useful for school IT directors or other users who wish to charge a large volume of devices simultaneously. 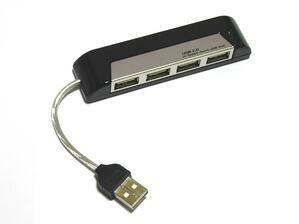 These types of USB hubs, also known as passive USB hubs, rely exclusively on the power of a host system to function. For example, a non-powered hub that’s plugged into a computer will draw its power from the computer’s current to power peripheral devices. It should be noted that these hubs can only provide a limited amount of power to peripherals, since they are drawing their power from another system. While non-powered hubs need to be plugged into a host system to charge your devices, powered hubs will charge your devices even without access to those systems. These types of USB hubs require access to an electrical outlet or power strip because they come with their own AC adapter. When the hub is plugged in to the mains, its AC adapter converts the energy from AC to DC to provide power for the devices connected to its USB ports. This means that with a powered USB hub, so long as there are electrical outlets available in the classroom, the USB hub will be able to provide power to peripheral devices. 1. How many devices do you need to charge? 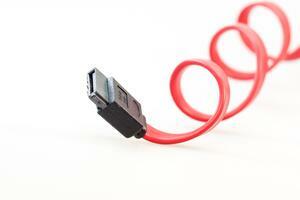 A non-powered hub may be suitable for a limited number of low voltage USB devices, like flash drives or smartphones. However, these types of hubs can experience compatibility issues when they are required to distribute power between too many devices. 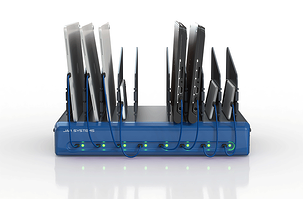 Therefore, a powered hub may be best for an increased number of devices. 2. What types of devices do you need to charge? As mentioned above, passive hub may be suitable for devices that require lower voltages to charge. For example, a passive hub may provide enough energy to charge a smartphone or game controller. 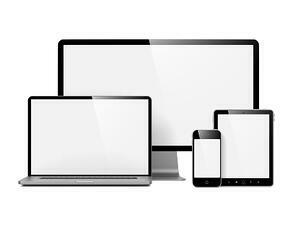 However, it will not be able to charge devices that require higher voltages, such as Chromebooks or notebooks because they would exhaust the energy supply. This scenario would not only cause the host system to under perform, but would also result in a plethora of uncharged devices. Therefore, a powered hub would be the best solution for devices that require higher voltages because it can use energy from the mains to deliver the maximum voltage possible to each USB port. 3. Is there any chance you will need to relocate the hub in the future? Although both forms of hubs are primarily designed to be stationary, either may be relocated between classrooms depending on usage needs. However, I must caution you that each hub is accompanied by a number of advantages and disadvantages. For example, non-powered hubs are designed to be compact and portable, but they still need access to a host system to function. Powered hubs, on the other hand, charge higher voltage devices but are more substantial in size and require access to a mains outlet in order to function. Taking these factors into account, it is therefore necessary to consider the nature of the environment before establishing a location for or relocating your USB hub. Click here to discover additional factors to consider when choosing a classroom charging station. 4. How do you plan to store your devices? There are a number of solutions available on the market that already integrate powered USB hubs with device storage, and some teachers have even come up with their own DIY solutions. For example, this innovative DIY charging dock uses a cardboard rack to create dividers where devices can be docked for charging. This type storage method is beneficial because it not only provides a way to organize devices, but depending on the design, can also provide a way to manage cables or use shorter pigtails. Saying that, most docking stations are designed to remain stationary and are best set up in a central location where all of the devices can be returned to charge at the end of the day. This means that they may not be appropriate for schools that share devices between classes. 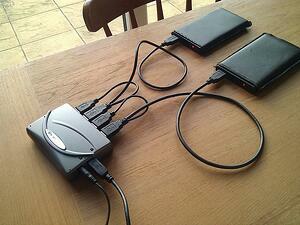 Fortunately, USB hubs can also be integrated with mobile carts. These allow mobile devices to be charged, secured, and transported around schools with ease. To help decide whether to invest in a DIY or manufactured solution, read about the pros and cons of each in our previous blog post... DIY Mobile Solutions: Are They Worth It? For the time being, the USB-A port that we are all familiar with is still relevant. However, industry-leading companies are increasingly releasing devices with an up and coming USB port. Referred to as USB-C, or Type C, this type of USB port is steadily becoming the emerging standard for charging devices due to its unparalleled speed. And although it may take some time for universal integration, there is no question that it is becoming the new standard in digital technology. This means that over time, current USB-A hubs will be phased out. Currently, however, there are few high capacity USB-C hubs on the market. Learn more about USB-C and Its impacts on charging technology in the classroom here! Conveniently Power and Charge Up to 8 USB-C Devices at Once! JAR Systems has developed a charging dock capable of charging up to 8 USB-C devices simultaneously. This versatile solution is the first of its kind, and uses sophisticated charging technology that automatically senses and adjusts the power supply to suit the needs of Chromebooks, notebooks, tablets, and other mobile devices. Click below to learn more about the Universal USB-C Charging Dock and to reserve one today! Searching for a Classroom Charging Solution with the Best Warranty Protection?